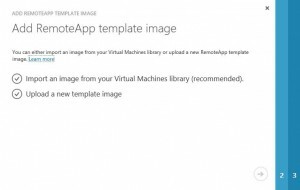 Following on from the post Using an Azure Virtual Machine as an Azure RemoteApp Template here is a short article on how to update the template image of an Azure RemoteApp collection. 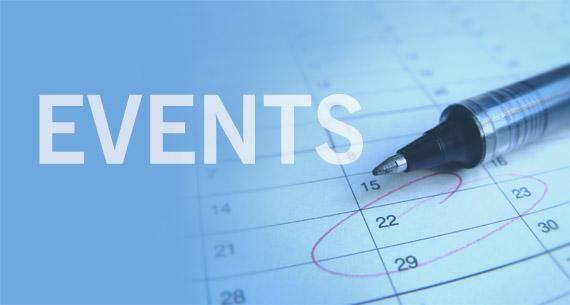 A new corporate image has been provisioned with the latest Windows updates and a number of new corporate applications. 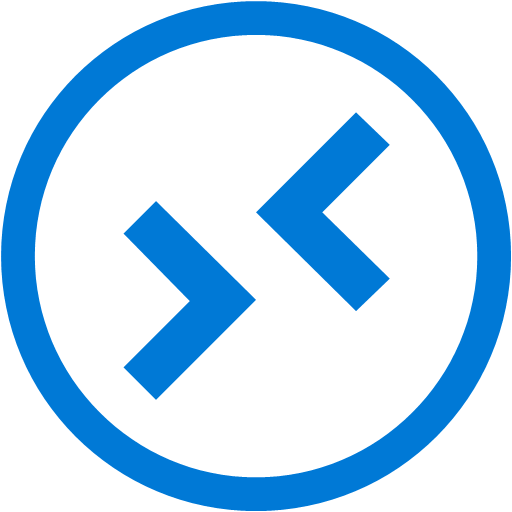 This has been converted into a RemoteApp Template Image which now requires deploying to remote users. How do you update the Template Image of a collection without provisioning a new collection and reconfigure user access? 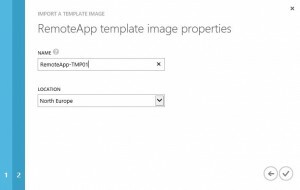 Updating the Template Image of a RemoteApp collection is a very easy process and can be achieved either via the GUI or PowerShell. 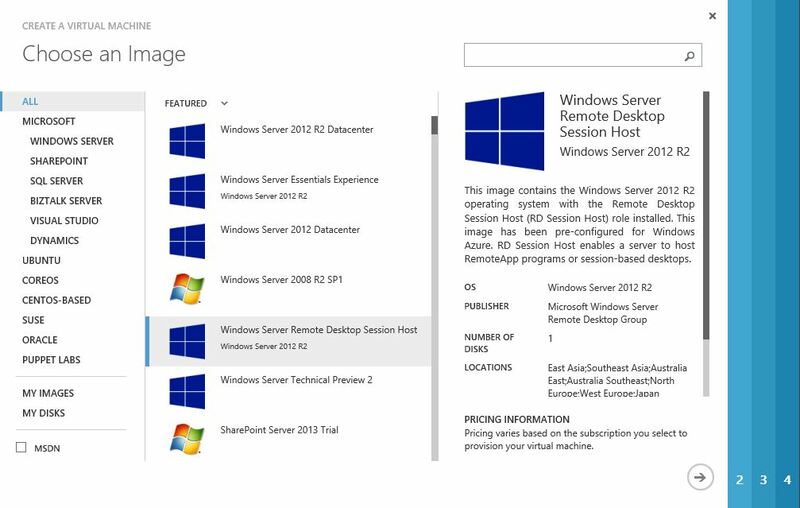 Browse to the RemoteApp service and select the collection that requires the Image updating. 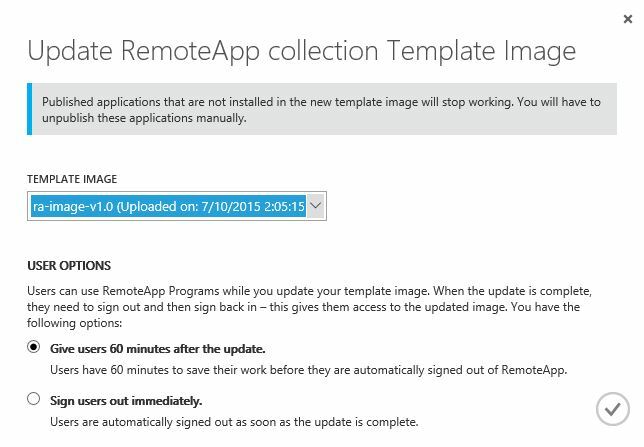 From the bottom menu click the Update button to initialise the Update RemoteApp collection Template Image wizard. Once the Update RemoteApp collection Template Image wizard appears, select the new Template Image from the dropdown menu. Then choose how connected users are to be managed during the Image update. Give users 60 minutes after the update. Selecting this option will send a popup message to all active users as soon as the RemoteApp collection has been updated, telling them to save their work and log off and back on. Any users that fail to follow the notice are automatically logged off after 60 minutes. Users can immediately log back on. Sign users out immediately. 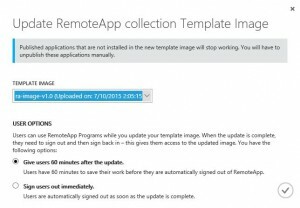 Selecting this option will log off all users automatically without any warning as soon as the RemoteApp collection has been updated with the new template image. Users can immediately log back on. NOTE: If you choose this option, users might lose data. Finally click on the tick icon to begin the update. 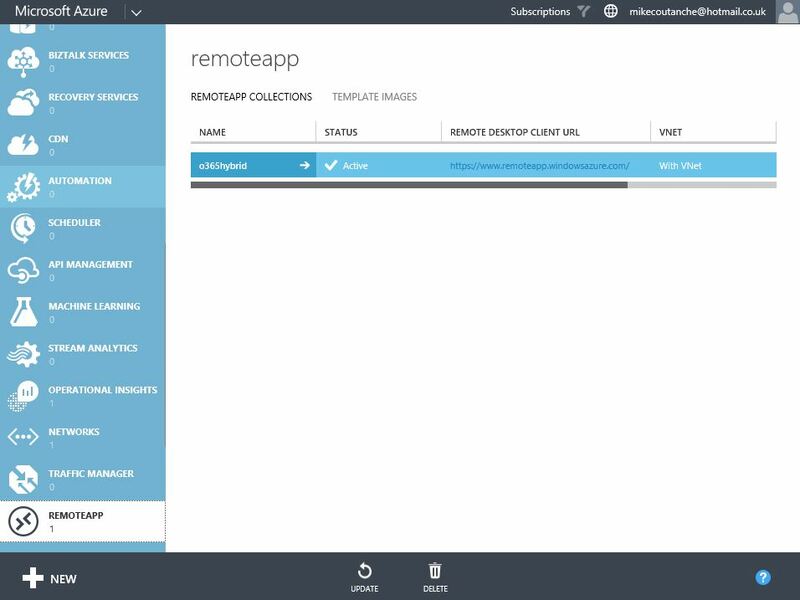 Once the RemoteApp collection has been updated with the new Template Image, open the collection and publish any new applications using the normal processes. To update the Template Image of a collection, use the following PowerShell command altering the RemoteApp collection name to the one that you wish to update and the name of the new Template Image. 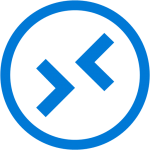 The RemoteApp PowerShell module has recently been updated with lots of new and updated cmdlets offering better administration. Below is a list of the cmdlets available since the latest update. Provisioning Azure RemoteApp collections requires the administrator to us a preconfigured Server 2012 R2 image. 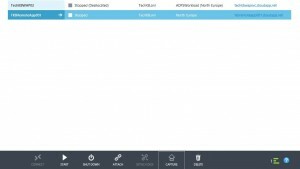 In the same way as with RDS on-premises the image is preinstalled and configured with all of the applications that are to be published to the remote users. There are three image sources an administrator can currently use when provisioning a collection. The preconfigured images that Microsoft offer are great for having a quick PoC up and working in a matter of a couple of hours but the recommended option if creating your own is to use an Azure VM. It goes without saying that plenty of planning should be done when looking to move forward with a production RemoteApp deployment. 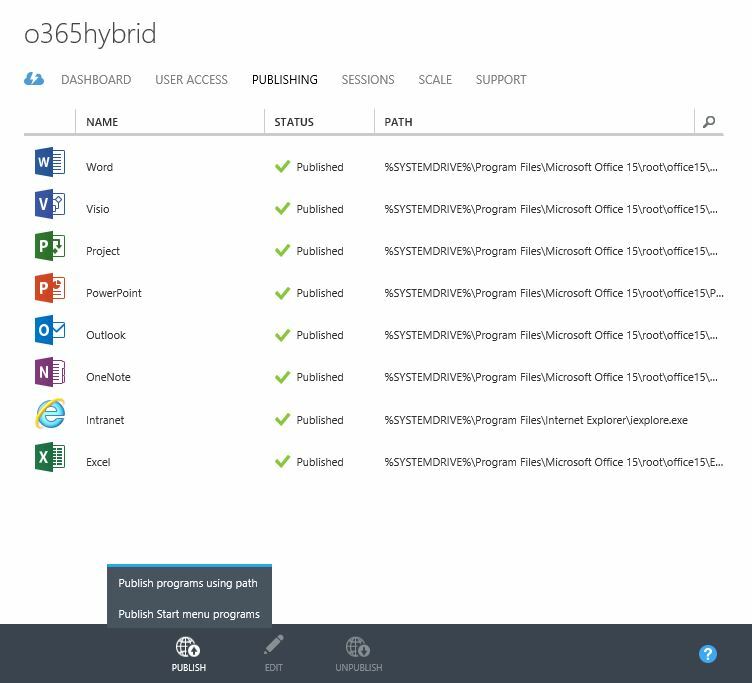 It is a great Azure service and there are improvements being made all the time but as with everything there are currently some limitations to work with. ** Currently timeouts cannot be managed by GPO or configured by the administrator. They are only managed by the RemoteApp service. 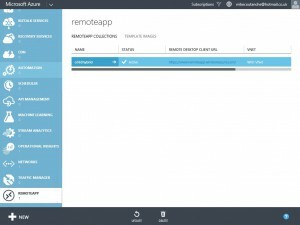 There are two steps to creating a RemoteApp Template from an Azure VM. 1. 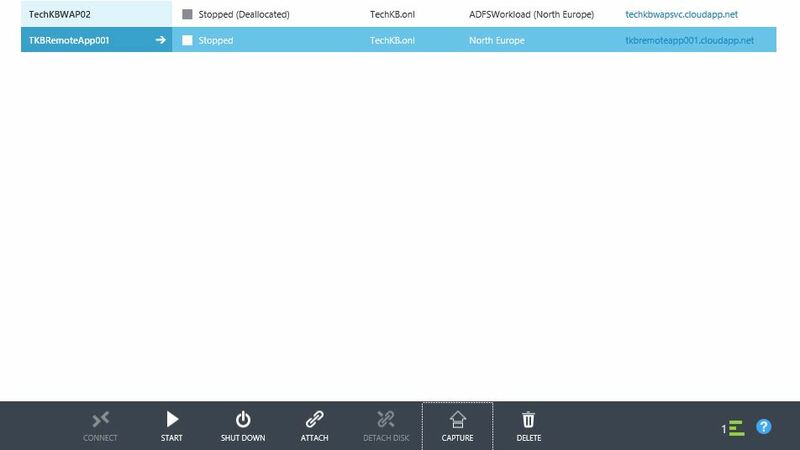 Create an Azure Virtual Machine using the “Windows Server Remote Desktop Session Host” image from the Azure Virtual Machine Gallery. 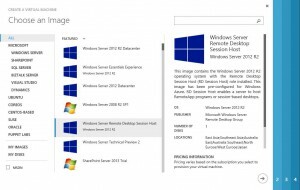 This image contains the Windows Server 2012 R2 operating system with the Remote Desktop Session Host (RD Session Host) role installed and meets all the Azure RemoteApp Template image requirements. 3. Now all applications have been installed and configured as required, the image needs to be validated. 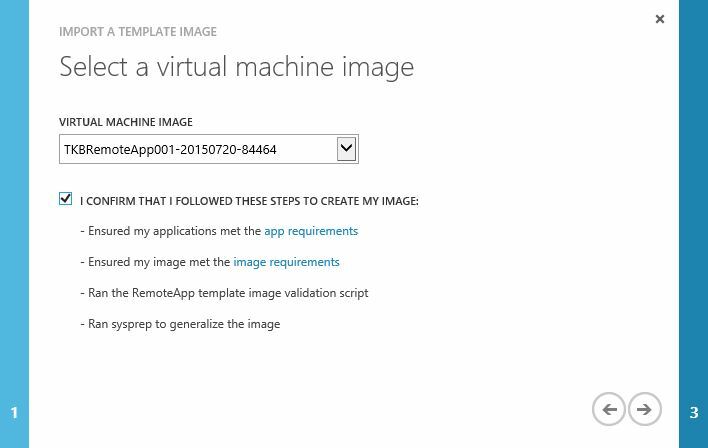 Because the VM was created using the RDSH image from the Azure Virtual Machine Gallery, we have the luxury of double clicking on the “ValidateRemoteAppImage” shortcut on the desktop. 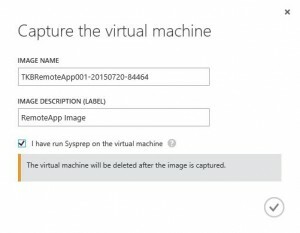 This script validates the virtual machine is ready to be used as a RemoteApp image and checks that it is configured in line with all RemoteApp pre-requisites. If all checks pass successfully, the script even offers the option to run SYSPREP for you! If the script reports back errors, make sure they are resolved before continuing to SYSPREP the image. 4. 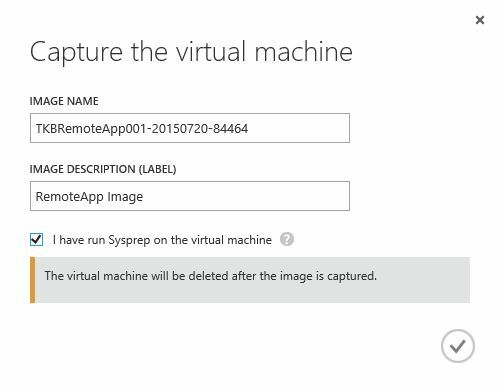 Once SYSPREP has run and the VM has been shut down, capture the VM as a virtual machine image. To do this, select the correct VM from the list and click the capture button on the bottom menu. 5. When the capture wizard appears, give the image a name, description and check the box to say that SYSPREP has been run on the virtual machine. Doing this will remove the VM once it has been converted to an image. The final step to the process is to click on the tick to begin the import. Once complete the image will appear under the virtual machine images tab. 1. Browse to the RemoteApp service and the TEMPLATE IMAGES tab at the top. If it’s the first image in the library click on IMPORT OR UPLOAD TEMPALTE IMAGE to open up the next wizard. If an image already exists, click on the + on the bottom menu bar to begin adding a new image. 2. Select Import an image from your Virtual Machine library (Recommended). 3. Select the Virtual Machine image from the drop down list and check the box to confirm that all the correct steps were taken in creating the virtual machine image. 4. 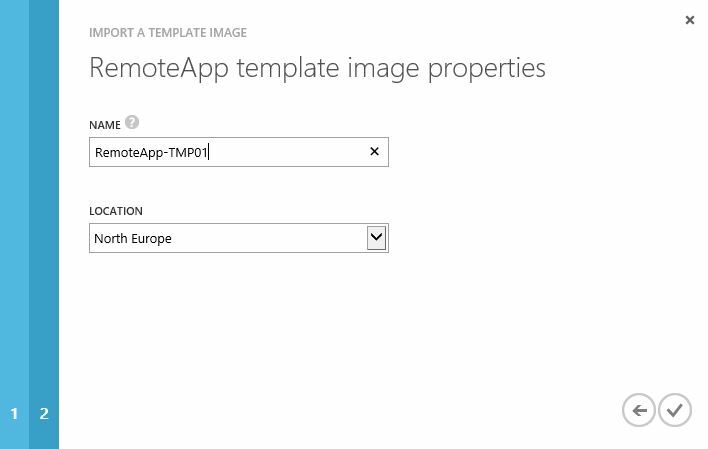 Give the RemoteApp template image a name and location and finish by clicking on the tick button. 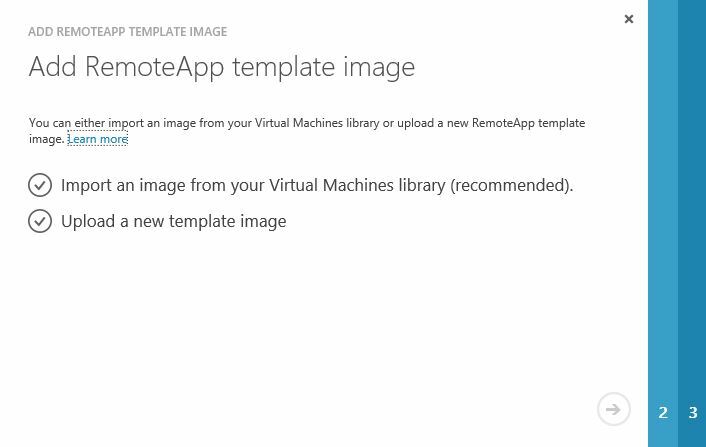 When imported, the RemoteApp Template Image is available to the administrator when creating a new RemoteApp collection. 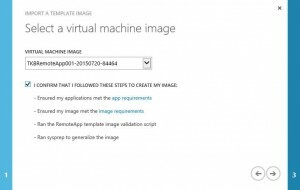 It is possible as mentioned earlier in the post to upload an image that has been created on-premises and I may cover this in a later post, but using an Azure Virtual Machine is a much easier process and Microsoft recommended approach. Check all applications to be published have start menu shortcuts. This will make publishing the applications much simpler later. Disable automatic software updates for published applications. Create a local user i.e. sysadmin and add them to the local administrators group and Remote Desktop. Scheduled tasks do persist after SYSPREP. Never store data on instances (c:\ drive).